pumped. Becca has, by far, my favorite highlighter formula and is incredibly consistent in their line while offering a wide range of shades for people of all skin tones. Here are my thoughts on the Shimmering Skin Perfector: Pressed-Prismatic Amethyst highlighter! 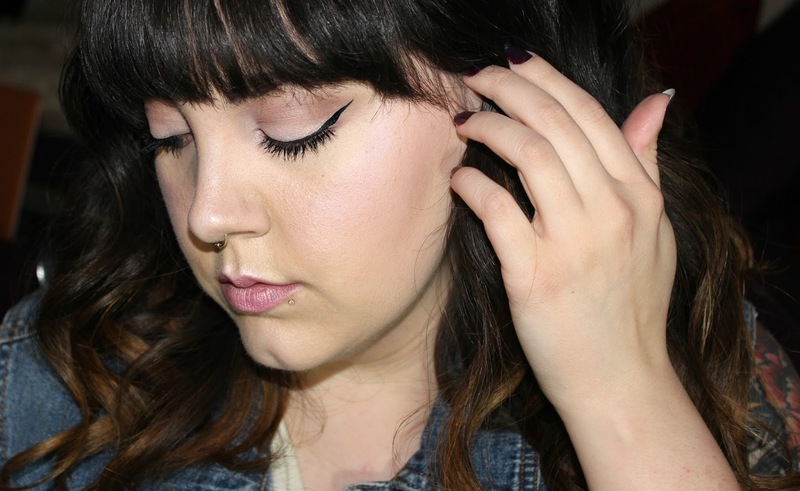 As always Becca has served a buttery smooth highlighter formula. It is silky, non chalky and blends like a dream. The shade is a soft violet, rose, and pale gold duo chrome that shifts and dances in the light as you move. Though this has no effect on the formula or the actual product it does make us all drawn to certain products. The box is a holographic lavender with a rainbow effect. 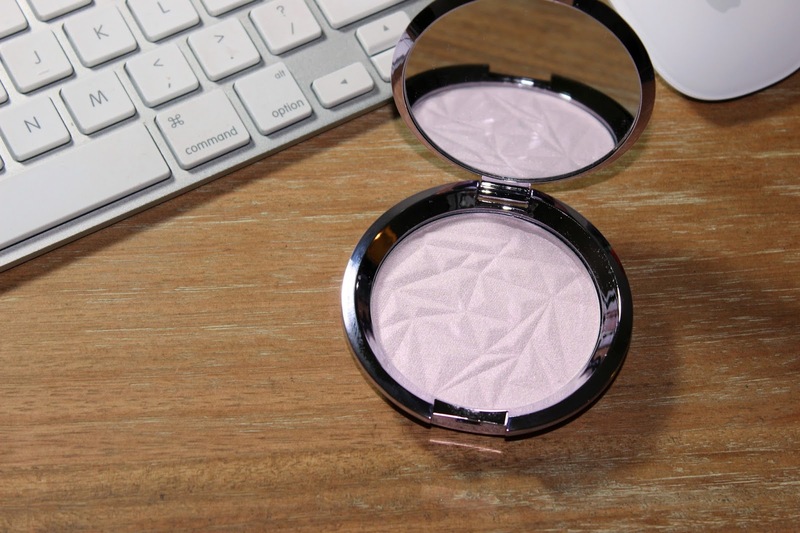 The component packaging is just like all other Becca highlighter except that instead of the brown shade that it normally sports is replaced with a metallic lavender. 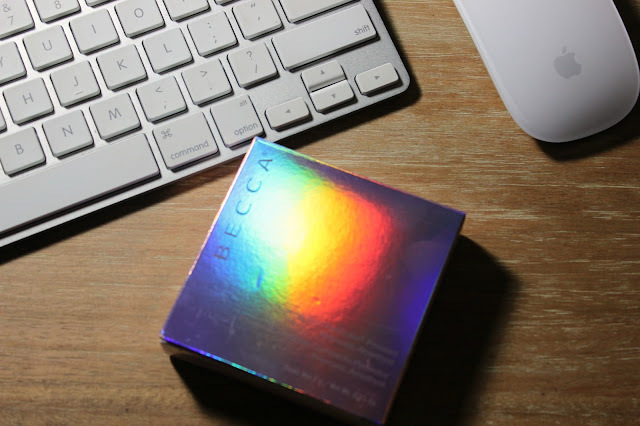 I really like this because it stands out as a limited edition product but also stands out when I'm trying to find it amongst my other highlighters from Becca. I am so very pleased with this product. I love the fun highlighters that are coming out, but some have a bit too much of a metal-strip-on-the-face look for my liking. If that floats your boat, live your truth and rock it, it's just not for me. I like my highlight to be there in a more soft manner, which this formula allows. I really like layering it with the Shimmering Skin Perfector Poured: in Pearl. (Not pictured.) It adds a little bit more to the highlight and the powder sits on top perfectly setting the cream. On Becca's site it shows many different skin tones wearing this highlighter and I believe that because of the pigmentation that this could work for more skin tones because it has a rose and gold to it, which doesn't sit so pale/silver on the skin and adds warmth, which is usually what makes shades like this harder for deeper skin tones to wear. I love that you can wear this highlight with a soft and glowing look or with a more edgy one. 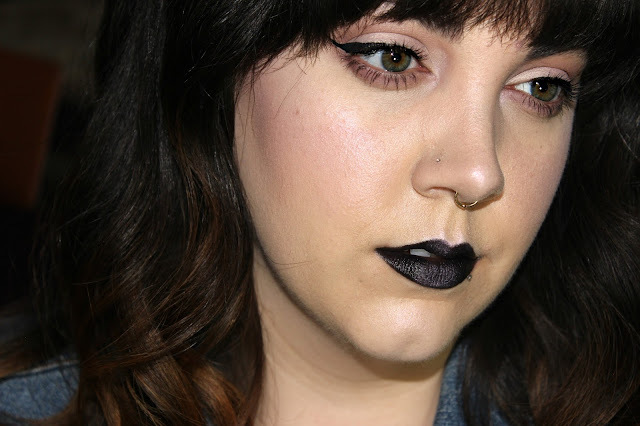 I even popped a bit on to the center of my black lipstick to add some refection and interest to it's finish and to tie the look together. because it is limited edition! 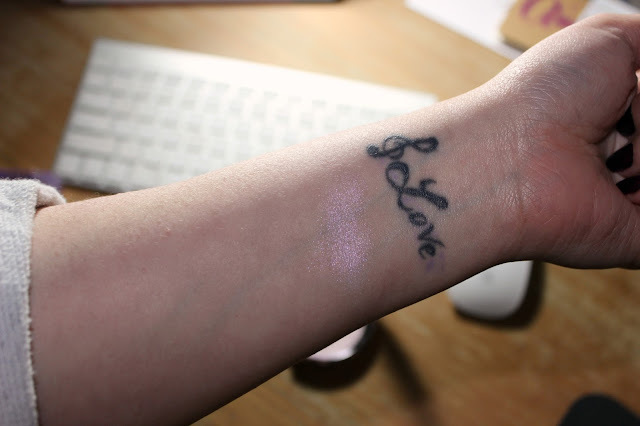 Does this highlighter speak to you? Would you wear it? Let me know in the comments! !